CARFAX One-Owner. Clean CARFAX. 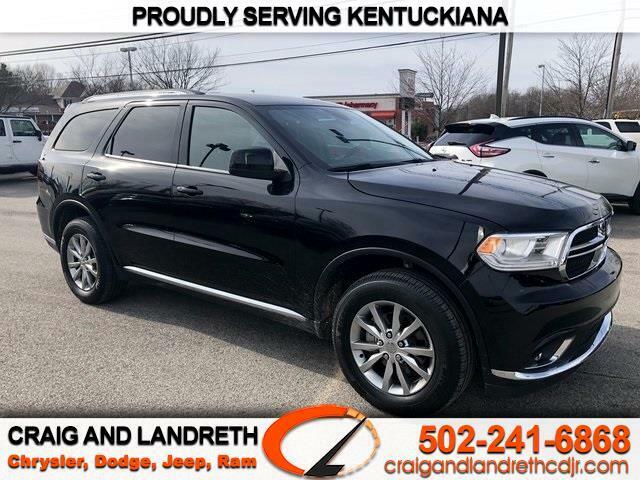 Black Crystal 2017 Dodge Durango SXT AWD 8-Speed Automatic 3.6L V6 24V VVT AWD. Used Car Internet Price includes $500 Finance Assist Credit. Vehicle must be financed through dealerships lenders to qualify for internet. Odometer is 2253 miles below market average! More pictures and a free CarFax Vehicle History Report are available on our website. Go to www.craigandlandrethcdjr.com to see our entire inventory. You can apply for financing safely and securely on our website too. As always, all trade-ins are welcome! Now you're thinkin' smart!